Apple just became the first US publicly traded company to reach a $US1 trillion market capitalisation. The milestone was hit when the company’s share price rose to $US207.05 on Thursday morning, just two days after the company reported its strongest third quarter in history. The earnings announcement helped spur a 6% spike in Apple’s share price Wednesday. As this chart from Statista shows, Apple’s market capitalisation has been steadily rising as its flagship products have evolved over the years. 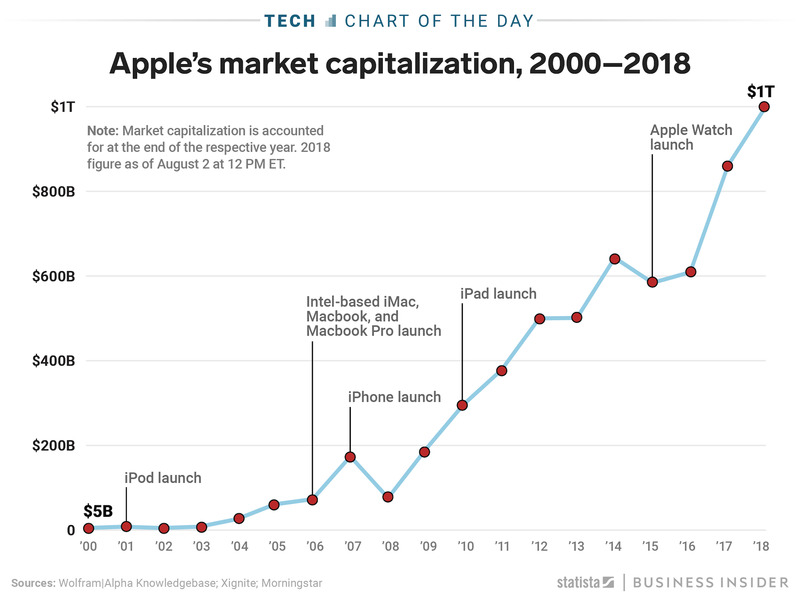 Since 2008, the launch of the original iPhone, the iPad, the Apple Watch, and most recently the iPhone X have stimulated the smartphone maker’s unprecedented growth in market value.